Sick and tired of the boring same old hotel getaways? It’s time to try the oh-so-chic world of glamping. Replace the lumpy floors and pokey spaces of camping with elegance and comfort, and you have glamping! Embraced by celebs such as Kate Moss and Gwyneth Paltrow, this is the ultimate way to immerse yourself in nature while not chipping your manicure. Luckily, New Zealand offers a range of gorgeous sites where you can sit back and relax in an Instagram-worthy glam tent and enjoy the beautiful scenery that Aotearoa has to offer. 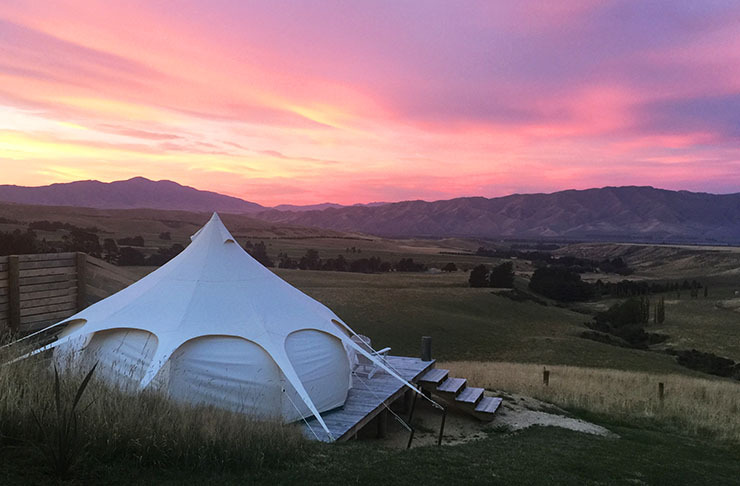 Valley Views Glamping is neatly nestled in amongst beautiful South Island scenery, set on an environmentally sustainable farm in the Waitaki Valley. Located just outside the township of Kurow, this picturesque spot is perfect for the outdoorsy types. With sailing, jet boating, fishing, horse riding and guided hikes all readily available. And for those of us more inclined towards Rosé and massages, there is a local winery and holistic spa (amen!). They are also pet friendly so you don’t have to leave your furry friend at home. 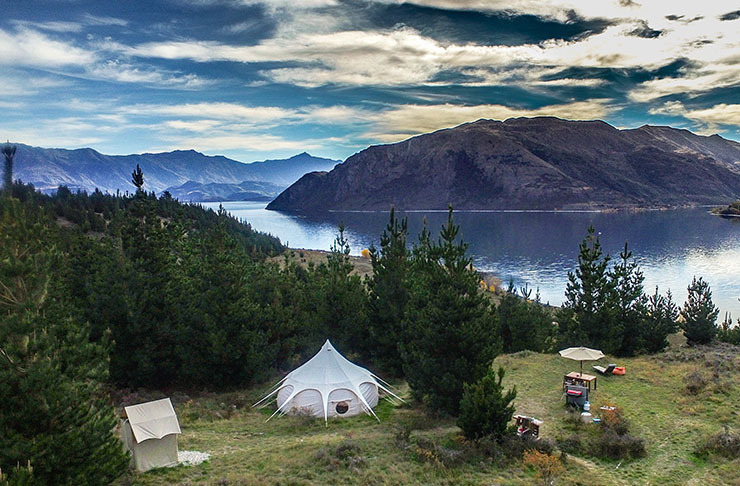 This glamping spot located on the edge of Lake Wanaka offers privacy and a great escape from the hustle and bustle of city life. Each of these luxurious tents include running water, hot showers and a flushable toilet – phew! Guests are able to enjoy a range of activities from horseback riding to golf and fishing. Though it offers isolation, the township of Wanaka is only 14km away, meaning you can get back to basics while still being able to escape for an evening espresso martini. Private and tranquil, Kaniere Tailings is the perfect place to feel like you’ve hidden away from society and landed in the middle of nowhere. In a bush setting surrounded by trees and animal life, yet only one kilometer away from the local Kaniere Hotel, this is the ideal pseudo-wilderness escape. Take a stroll amongst the native plant life and explore the near-by glow worm caves to feel like you’re really immersed in the New Zealand bush. 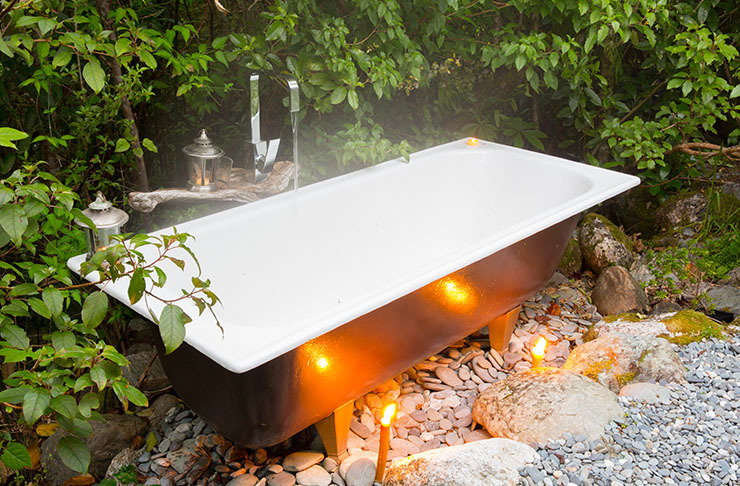 And finally, unwind by taking a star-light bath in the outdoor tub and wake up to the sound of birds – you’ll never want to leave this magic spot. If you love wine (um, of course!) 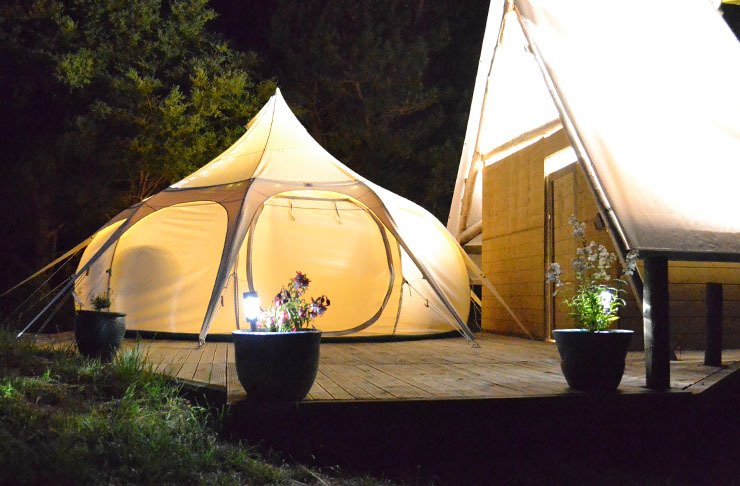 and are in the Napier area, a night at this magnificent glamping spot is a must. Located only 3.8 km away from Elephant Hill Wine Estate, Clifton Glamping guests can enjoy this stunning outdoor setting while sipping on a glass of perfectly crafted vino - dreamy. In addition, the site offers bike hire, a golf course and great hiking, so you can also sweat out any over-indulgences from the night before. 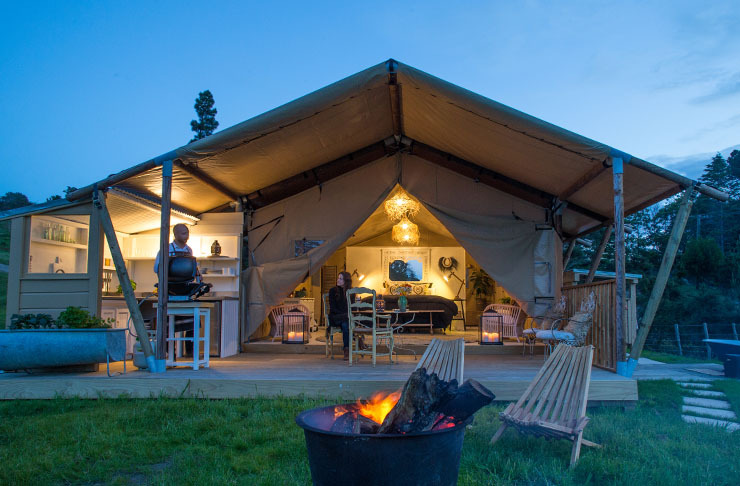 Located on the west coast of the North Island, Birdsnest offers guests a luxury glamping experience at an affordable price. Each tent is private and has its own fully functioning bathroom. The site has a covered kitchen area and barbecue facilities, allowing you to flex your foodie muscles. And don’t worry, there is even free Wi-Fi – so you won’t miss any perfect ‘gram opportunities. Thanks to the guys at Booking.com for their help supplying accommodations for this piece.